The premise of the challenge was basically to make the student run the hotel as if it were real life practice and make use of the knowledge gained in their four-year university journey. Students are expected to make decisions on all product offerings including food and beverages, accommodation and other revenue streams. The challenge took a total of six weeks. Each week represented a quarter of a year. During the challenge, which was divided in to four phases, Strathmore University’s close competitor was TOPS Hotel by Modul University. Strathmore participants used their analytical skills to study the competition and past decisions to emerge the winner. Key skills that came in handy during the challenge were; revenue management, accommodation management, food and beverage management and facilities management. The students were awarded with $120 dollars each and the winning plaques will be presented at the next conference in Hong Kong later in the year. 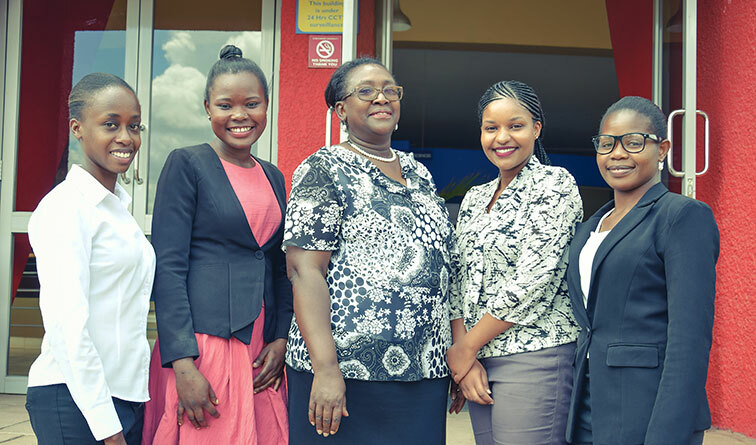 The win demonstrated that the Strathmore School of Tourism and Hospitality Students are market ready. What the team had to say. Participating in the EuroCHRIE challenge 2019 was a lot of fun! The Strathmore University team bonded very well and the decisions were made collegially. Each week of the Challenge had the team on it toes. We eagerly anticipated the outcomes of our decisions to see how they had affected our performance and we also wanted to know how we stood vis a vis our closest competitors. The challenge gave the team an opportunity to have a near ‘live’ experience of managing a hotel as well as learn critical and analytical skills that are necessary to be successfully. We learnt how it feels trying to balance different aspects of the hotel business. It also taught us that besides very well studied decisions, there was always a blind spot and some risks had to be taken. All in all it was an enriching experience and a very pleasant surprise that we emerged the winners of the 2019 Challenge! We are very grateful for the opportunity to have participated in the EuroCHRIE 2019 Challenge.